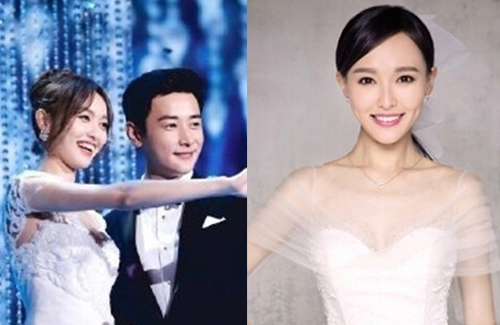 Tiffany Tang, Luo Jin are Getting Married on October 28 in Vienna? It appears another exciting wedding will be coming up very soon! Popular Mainland actress, Tiffany Tang (唐嫣) is believed to make her marriage announcement on October 25 and will be signing the papers with Luo Jin (罗晋) on October 28 in Vienna, Austria. Since admitting their relationship in 2016, the two have been sweetly together for two years. Although they couple was rumored to have split briefly, they realized they’re the one for each other. While the couple’s marriage rumors often hit news headlines, this time the revealed dates and the photographer’s comment made the news more believable. A screenshot of a conversation between the photographer and a female friend revealed that he will have to fly to Vienna next week, to attend Tiffany’s wedding. Fans are in frenzy after hearing the news, especially since the pair have been wildly shipped for their onscreen couple collaborations in The Way We Were <归去来>, Agent X < X女特工>, Diamond Lover <克拉恋人>, and The Princess Weiyoung <锦绣未央>,. As soon as news of their upcoming wedding leaked online, both of their respective managers responded that they are unsure of the news and immediately ended the calls with reporters. Nevertheless, Tiffany and Luo Jin’s staff were spotted at the airport today, apparently getting ready for the couple’s wedding. Fans are still excited, and are already listing who they are expecting to attend the wedding. Good friends including Hu Ge (胡歌), Yang Mi (杨幂) and the rest of the Chinese Paladin 3 <仙剑奇侠传3> cast are expected to attend. It is also largely speculated that Crystal Liu (刘亦菲) will be Tiffany’s bridesmaid. This article is written by Minna for JayneStars.com. 1 comment to Tiffany Tang, Luo Jin are Getting Married on October 28 in Vienna? Vienna? Far away from paps? Never realised she is so thin. Kenneth Ma Still Has Love for Jacqueline Wong?